The Franchise Tag deadline has officially passed, and the list of 2018's Free Agents is now final. 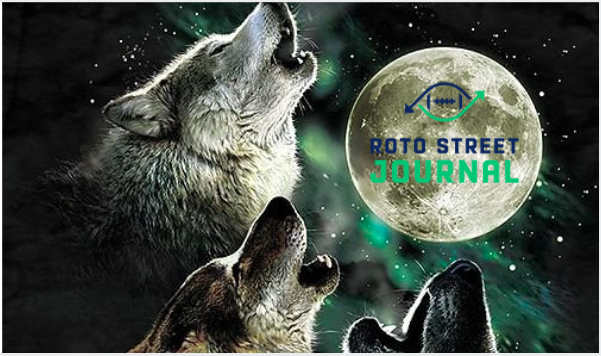 Thus, The Wolf and Truth dive in deep, breaking down the best names available at each position, current rumors and news around their destinations, and our ideal fantasy fits. The breakdown opens with quarterbacks, considering how influential signal callers are for every position. From Kirk Cousins to Case Keenum and every AJ McCarron in between, the boys speculate where each QB will land, and what it'll mean for those teams in 2018. We then turn to RB, where new free agents and rookies often have the greatest impact. There's no shortage of "Value Holes" at the RB position, and some very intriguing names to fill them. Carlos Hyde, Dion Lewis, and Jerick McKinnon are all intriguing names to track, and we tell you their ideal fits. With Allen Robinson and Sammy Watkins avoiding the franchise tags, 2018's Free Agent WR Class is suddenly loaded. This is especially true with Jarvis Landry expected to be traded. Where would we love to see all three land for legitimate WR1 upside? Jimmy Graham, Trey Burton, Tyler Eifert and Austin Seferian Jenkins are also athletic freaks likely to find new homes. We speculate where all could land for maximum fantasy value in 2018... and the talk gets hot n heavy. You won't find a more in-depth Free Agency breakdown from a Fantasy Football lens, so follow our lead block and dive in for one of our most fire episodes yet. The latest on Kirk Cousins -- what teams have made his final cut, and where would we love to see him land? Join "The Wolfpack" to get every new episode and "show notes" sent straight to your inbox!